Saudi Nuke Sales Probe Could Ensnare Jared Kushner - Joe.My.God. 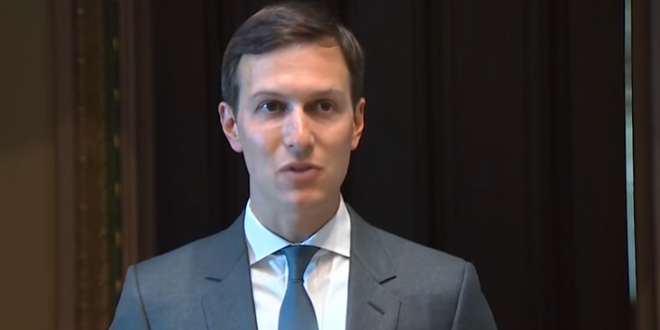 A new report issued by House Democrats this week claims that key Trump administration appointees overrode the objections of top national security officials and attorneys to promote the sale of nuclear power plants to Saudi Arabia — and these sales could have directly benefited Trump son-in-law Jared Kushner. “The Cummings report notes that one of the power plant manufacturers that could benefit from a nuclear deal, Westinghouse Electric, is a subsidiary of Brookfield Asset Management, the company that provided financial relief to the family of Jared Kushner,” the Post writes.